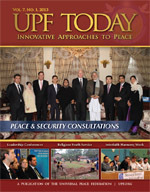 UPF Today is a magazine of the Universal Peace Federation featuring activities of our international office and chapters throughout the world. 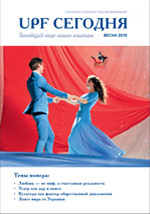 The magazine is published in English and Russian, with occasional editions in other languages, including French, Spanish and Arabic. 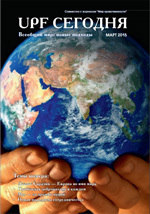 This archive contains .pdf files and links to the corresponding articles on our website (which are often more extensive than in the magazine). 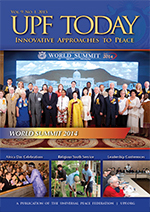 Chapters are encouraged to reprint and/or translate such portions of the magazine that they might find useful. 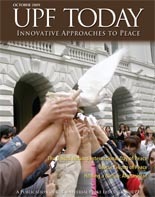 We are always looking for interesting reports of UPF activities. See suggestions for preparing reports, photos and videos.